Home LATEST NEWS RYE’s holiday “Miracle” pop-up bar in Green Bldg. 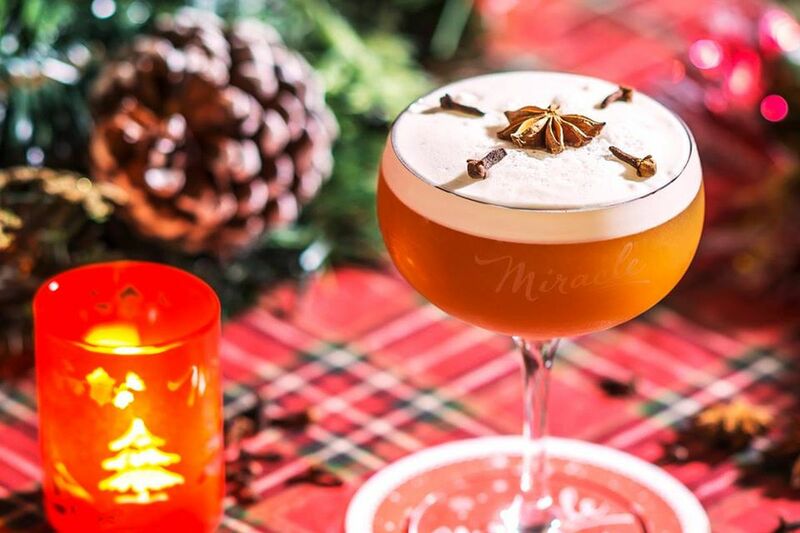 Again this year RYE is participating in the nation-wide holiday bar event called “Miracle,” which started in 2014 in New York City, and has now spread to 50 cities around the world. RYE is the Louisville host to the event, but will stage it, starting Friday, Nov. 24, and running for one month, until Christmas Eve, in the gallery of the Green Building, 732 E. Market St.
A story in Insider Louisville gives the details about the genesis of the holiday “Miracle” concept, which is also happening in New Orleans, Washington, D.C., Austin, Asheville, Los Angeles and Hong Kong, among other sites. Drinks and small bites will be served 5 p.m.-midnight Sundays through Thursdays and 5 p.m.-2 a.m. Fridays and Saturdays, in the decorated-for-the-holidays Green Building art gallery. In a press release, Doug Petry, RYE’s beverage director, said, “The RYE team is excited to bring back ‘Miracle’ with a brand-new location that allows us to host more patrons. It’s impossible not to be caught up in the holiday spirit, and ‘Miracle’ is a celebration of that kitschy fun everyone remembers as a child and wants to relive as an adult.” A portion of all sales will be donated to the Food Literacy Project. Among those kitschy fun things will be a Christmas-themed karaoke and seasonally-inspired cocktails such as a Snowball Old Fashioned and How The Gimlet Stole Christmas.